I'm new to the forum and figured I'd introduce myself and share a couple of experiences I've had at attempting an OBE. I'm 29 and have had a strong sense of curiosity about alot of topics which I devour tons of information on after work. I had a surreal experience in the Marines during combat in Afghanistan, the details aren't important but it started me on my Journey to learn about the afterlife. Needless to say standard references in theology left me unsatisfied, but soon after I came across astral projection. Something hit home and I've been reading all about it ever since. I've recently just begun to try inducing an OBE, and have crossed some milestones. My very first attempt I distinctly remember relaxing my body and after 30 minutes my heart began pounding, my body was sweating and I felt a strong rising sensation. The only thing I was doing was concentrating on relaxing. The rush upwards feels like when you drive too fast and your core kinda feels that pleasant tickle. It became too much for me to handle, my heart beating violently and the sensation growing. I came back to consciousness feeling like I was just riding a roller coaster. My second attempt the sensations died down at it's peak, my body felt light, noticed my heart rate pickup but became bearable. I also noticed what the darkness was doing at the switch. I noticed my vision in the darkness became lifelike...that's the only way I know how to put it. The very moment I felt the conscious switch was like I zoomed a camera in...like I pulled my dark background around myself. At this point in time id get slight colorful shapes in my sight. Sometime while I was experiencing this I heard a male voice say my name. That became too exciting and I snapped back to consciousness. My next attempts for a full week were all pretty dull. I can easily reach that void state of consciousness but nothing further. I did get the lead blanket feeling and it felt like tiny hands were pushing into my face...but almost through it. It almost feels like what I'd imagine bubble wrap would feel when popped, if that makes sense. I have noticed on most of my experiences my right eye tends to want to open. I notice it most right as my lifting sensations begin sometime after the void state is achieved. Doing Abit of contemplating I noticed I'm paying too much attention to the signs and not focusing on my technique itself. This break in attention back to my body is holding me back and I think my eye problem is my fear of not seeing what I'm experiencing. This happens with or without a blindfold. Pros:. Can easily achieve a "void state"
Repeatable back to back same night, which I believe is attributed to focus. Cons: Right eye block, most likely fear of not seeing experience. I lose focus during certain sensations. I will try to forget my experiences and go back at it with a fresh mind/beginner mind. It says something that my extreme lifting sensation happened my first time without reference. If I can get there and calmly ride the sensation. I think I will get much further. Sorry for the book everyone, but this is my thought process so far. Any comments or advice is appreciated. Welcome, if you are insatiable about astral information this is a pretty good place to be. Your experiences so far strongly resemble mine, and almost everyone's. The big question is how do we push through all of that cruft of physical problems, self initiated blocks, snapping back issues, fear tests and so on. There is a lot of consistency in the way we fail but there doesn't seem to be much to grasp on to in terms of consistent ways to succeed. Even if a person that does succeed regularly explained their experience it can be difficult to replicate since the experience is so subjective and based on internal factors. Everyone wants to start at this with conscious projection. For most people, including myself, it will be the most difficult thing you have ever tried. I would start by re-distributing some of the effort into lucid dreaming. I recommend this because it is easy to succeed in experiencing other realities right away if you skip the conscious transition issues. At the end of the day the experiences you end up with through these two alternate initiation methods will be largely the same. The idea that conscious projection will result in a special type of experience where you have your full mental faculties and or experience something life changing doesn't seem to always hold water. I thought this way until I had a few conscious projections and found them to be identical to lucid dream kind in almost every facet. To get started with lucid dreams is pretty easy, all you have to do is think about dreaming before you go to sleep. If it is something that is "on your mind" you will have dreams. The next step is to improve your recall of the dreams. You do this by trying to remember the dream as your first action upon waking. If you wake up thinking "breakfast time" or something like that you have an issue with the intent and have to put more mental energy into thinking about dreams. The dream recall aspect builds momentum with each dream you remember, every day, until you are experiencing what seems like 6 hours or more of dreams every night. This will get you accustomed to your core being, the dream you. When it comes to conscious projection I won't labor over techniques because they probably won't work for a while to be honest. What you need is to understand who you are at a core being level and why you are trying to consciously project. The mandatory attitude perhaps, is to do it for self improvement and service to fellow conscious beings. What will almost certainly block you is roller coaster rides, anything that makes you feel special like performing miracles, indulgence in fantasies, craving an experience that will make you feel better than you do now. What I just described really takes the fun out of it in many ways for our normal attitudes coming in. It is important to understand that our ability to access these other realities in our minds is limited by the "physics" of this reality experience in order to preserve the sandbox of the human life experience. The "physics" of this reality has an end game of you becoming a better you. If the "physics" predicts that conscious projection experiences aren't adding anything to your end game those experiences will be actively denied. It sounds mystic but that is how it works in my observation. Digest this. I am happy to help you on this mission. Thank you for the information Thaomas. I realize I didn't give my intent. My intent behind striving to Astral Project is mainly for knowledge. There are massive gaps in information on our purpose, why we are here, what we can do to better ourselves. Most personal development I've practiced has been hollow. Most gurus create an almost cult-like atmosphere and do not like challenged on beliefs ect. I love pushing boundaries and exploring new ideas. I think the biggest pull for me is exploring myself. We spend alot of time in our lives shutting our minds off and resting. Even awake I've caught myself shutting down and my focus lost. While rest is vital, I think I can use some of that time to develop myself, my knowledge, and form much stronger convictions and beliefs. I already have noticed my mind is much less cluttered throughout the day, my mood is much better, and I seem much more clear headed. I will definitely start researching lucid dreaming. I've already begun a dream journal to improve recall, which I naturally assumed would improve remembering OBE experiences. Thanks so much for the information, I'm glad I found a place with people I can relate with. Sounds legit. You are on the warriors path, using logic to find answers and pursue big truths and wisdom. It is important to differentiate gee whiz knowledge like "what was Atlantis like? ", which probably has little meaningful impact, from the noble pursuit of knowledge. I think your intent is good, you hopefully won't find much resistance in this area. It would be nice to make use of the time we sleep. For a long time I day dreamed on this concept, but usually with respect to getting physical matter reality stuff achieved with an extra 8 hours in the day, or spending more time on the things I find fun like gaming. Recently I am getting life lessons from dreams almost every night so the prophecy has been realized, but not quite in the way imagined initially or with the same degree of freedom and control. Many people find journals useful, I am not very dogmatic about it and a bit lazy when it comes to writing things down. What really matters is that you develop that skill of transferring the memory of the dreams into your physical brain. The journaling is just about wrote learning something school style to make it sink in. You can achieve the same results with reflection. Interesting discovery. My girlfriend and I we're laying down tonight and I had the worst of conditions. Our daughter, our dog, and my girlfriend moving every now and again in bed. The TV was loud so I slapped on a binural beat track. Within 7 minutes I was hitting a void state, my body I didn't notice, and I began seeing images. I felt the lead blanket sensation but couldn't pay much attention to it, I was so wrapped up in the track. I began seeing stars form and I began seeing and feeling movement. I knew I had vibrations...but I didn't care, I was so into the track. At that moment I was snapped back into consciousness by my girlfriend shaking me, saying I was snoring. We had a laugh about it...then I asked her to try. I just told her to relax. I gave her the beats for 15 minutes and covered her face with a towel. She claimed she couldn't tell if her eyes were open and that she could see the fan spinning and my head....thing is she was blinded by the blindfold...this was 13-14 minutes in. Now this brought about 2 epiphanies. 1. I lost the long standing argument that I don't snore. 2. Audio sensory input seems to be my preferred method of focus to disassociate from my body. Also my girlfriend is interested. Great Job DevilDog and Welcome. My advise, keep doing what you are doing. Don't rely totally on LD's especially when you are already getting great results already as it is. I disagree with Thaomas on this one. I see LD's as more of a "effect" of a successful OBE. A successful OBE opens you to a new awareness. That new awareness will be felt in all aspects of your life. Waking or dreaming. You will just seem to notice more in general. Hence the increased LD's. Projecting consciously is hard. Repeating it is even harder. But just because something is hard, doesn't mean it can't be achieved. When I hear someone advise another to rely on LDs instead of going the harder route, I see that as a "cop out". This is hard for a reason. You have lived all your life, so far, thinking that you were just your physical body and that nothing lies beyond that. Now, spontaneously or otherwise, your eyes have been open to a new truth. One that words alone couldn't prepare you for. That new revelation should be the result of hard work and determination. Learn to "strengthen" your focus. Right now I am going over to post in my "Doorway" thread, where I teach people how to do just that. What you focus on is up to you. This entire practice is based on releasing your physical based reality focus and turning it to "other". What you experience in "other" is up to you. I have many methods to get you to that "Doorway", but after that, your on your own. Every successful technique that you read is all about learning to direct and maintain a "NPR" (non physical reality) focus. Binaural Beats is a great focus tool. My techniques go much further, but can also be used along with a Binaural Beat or Isochronic Tone track. Lucid dreams are the default out of body experience for us. I think almost every child has them regularly long before successful conscious induced events enter the picture. Maybe what you are saying here is that conscious events further alter the content of lucid dreams by introducing an increased awareness mindset. I can agree with that, but I still feel that lucid dreams are an introductory egg experience and conscious projection is the next evolution chicken in this relationship. If you have to crawl before you can walk, might as well get the most out of crawling that we can. We are going to get exposed to dreams each night. I don't see it as a trade-off so much as a very valuable bonus experience waiting to be seized. I advised to "re-distribute some of the effort" into lucid dreaming rather than to totally rely on it. If it takes weeks, months or even years, which it can, to achieve conscious projection it would be unfortunate to not have been utilizing the free experiences we get each night. My intent here was truly to encourage the best results, not to dissuade, so I have to apologize if that isn't the message that was delivered. To add further commentary to the way I think about this now; I have witnessed lots of people start at the idea of conscious projection with gusto, but the metaphor resembles trying to reach the promised land on the other side of a brick wall by running into it at full speed repeatedly. Almost everyone gets to at least feel the presence of the wall in the early experiences but tend to lose interest before actually penetrating it. I feel that our techniques have to be partially to blame for this outcome because they don't deliver in vacuum. Hard work and determination might be pivotal for success, I'm not convinced it is actually, but is also fruitless if the determination is to run into the wall instead of learning how to pass it. Advanced machines and learning strategies can be used to teach someone to achieve the same proficiency in meditation in a couple of sessions that typically takes monks decades. We should do our best to work smart and hard. I guess my bottom line here is that we might have it backwards. Brute forcing the wall can open our eyes to the truth, but if we just open our eyes to the truth the wall comes down. This is why I labored the point of examining motivation before practical technique. I am in the early stages of discovering how we can easily open our eyes to the truth and how that may impact the ease or difficulty of conscious projection. I agree with that, You do need to learn to crawl before you walk. What I am saying is that it's the experience, growth and personal achievements that make the challenge to have a totally 100% consciously aware OBE/projection completely worth all of the effort and work. LDs come in all forms. Many are based on subconscious teachings and daily occurrences, people and things. The challenge is to become Lucid though, otherwise it is just a recalled Dream and you had no control at all over it. At that point you were just an observer. So, with LDing, you need to first gain a conscious awareness. You have to strengthen your awareness to be a conscious participant in the Dream. I was kind of confused lately because all I have been reading here on a Forum named the Astral Pulse is other people's Dream Journals. It's been awhile since anyone has actually shared a story or experience here based on achieving projection while completely 100% consciously aware from the get-go. I have LDs almost every night now. That came as a effect of learning how to AP consciously aware. Not only did I learn to become aware during my Phase sessions, but I also learned how to navigate my surroundings. True I have remembered my Dreams off and on starting as a very young child. But I didn't know how to navigate or alter them. The Dream Journals I have read here sound more like recall of the Dream. In the person's experience, they become aware in LD and live out that adventure/simulation. Very rarely have I heard of someone consciously changing the Dream narrative or simulation completely. In a conscious AP, you are aware all the way through it. There is no getting "your bearings" involved. You are there purely by conscious intent. I'm certainly glad that Thomas Edison, Nikola Telsa, Einstein and others of note didn't feel that way. Thomas Edison once said "I have not failed 10,000 times. I have not failed once. I have succeeded in proving that those 10,000 ways will not work." Achieving something of note, especially a fully consciously aware OBE/AP, by hard work and dedication creates a sense of personal satisfaction on a whole new level. The challenge is to become Lucid though, otherwise it is just a recalled Dream and you had no control at all over it. In a conscious AP, you are aware all the way through it. There is no getting you bearings involved. You are there purely by conscious intent. This is a really controversial and complex topic, this will be great, I am ready to dive deep. What is the difference between a lucid dream and a recalled dream? Sometimes we say that a lucid dream is when you are aware that you are dreaming. Lucid dreaming is when you are aware that you are a human, your human mind set has started to enter the dream. I think if we measured brain waves we would see cortex thoughts have started to get in. This is often why we begin to de-stabilize and wake up, and also why it is more common to become lucid as you approach waking anyway. Do our human thoughts really belong in these dreams and why is it useful to have them? When we die the cortex and its logical thinking dies with it? When I am lucid dreaming or...not, it is pretty hard to differentiate for me at this point, I am still making decisions actively regardless of whether I know I am dreaming or human. When I look back at what occurred the contrast is that when I don't know I am human I feel the decisions are coming from the core being level. When I know I am human it is more like waking life, but I feel that our waking life should be more like the core being dream than visa versa. Have we mixed up which of these experiences is actually the higher order of consciousness? Why is it impossible to learn from the decisions when we make them from a core being level. The lessons are still remembered and make an impact on the next core being experience for me. In the long duration conscious projection experiences I have had, I have not actually remained aware with the human mindset for the entire experience. It starts off like a human lucid dream and quickly transitions to a core being experience as you get into the flow. I think that Tesla did think exactly this way. He made a point in the video posted in the other thread about the benefits of refining his inventions in mind space without actually building physical prototypes. He worked smart and hard while others wasted time, perhaps working even harder than he did on dead end roads. I have watched my own family members exhaust themselves with fruitless labor for years. It makes me very mindful of putting effort into prospects that look profitable. We can't succeed without doing that. I understand Edison's quote, but I think he would also agree that he found 10,000 different ways that will not work, he didn't repeat the same mistake 10,000 times. What I was actually trying to say is that I am not convinced that it does take a lot of hard work and determination to achieve conscious projection. I haven't proved it yet but I suspect that if we were able to visit an advanced alien culture they would say projection is easy because they understand the requirements fully. Most experts seem to agree that we get in our own way more than needing to overcome some innate difficulty in projection, it is supposed to be natural. Interesting points brought up. I've attempted to AP and had separate meditation sessions everyday since my last post. Not very much in the way most would see as progress, but I have some observations and a couple questions. 1. Every attempt is slightly different in sensations and visual images. I barely get vibrations at all past a slight numb feeling. 2. Meditating 2-3 hours before my attempts seem to drop me into this void state much quicker. 4. During very mild upward movements after void state my right eye always opens ruining the process...it's quite aggravating. 5. 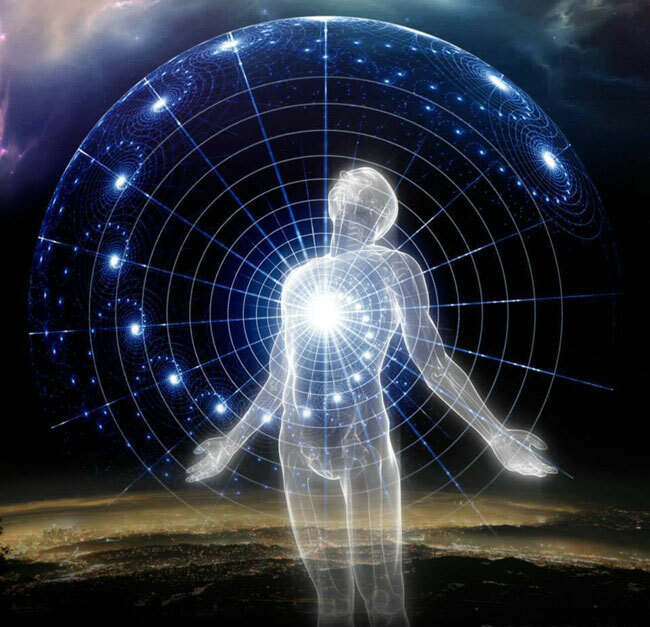 Binaural beats are amazing for meditation, but as far as for astral projection I'm still skeptical, it gets me the signposts but I really get no further than a few visuals. I think I'll just use them to meditate. I've been using Multidimensional Man binaural beats that he has posted on his site. 6. Listening to the ring in my ears and consciously changing the pitch and tempo seems to get me the furthest. 1. I seem to be very hung up on the separation during conscious OBE's...What exactly does this feel like to move your energy body/astral body? Does it actually feel like your body is moving during separation? As always appreciate the comments so far. It's always nice to get everyone's experiences. In a Lucid Dream, I know that my physical is sleeping soundly in my bed and that all I am experiencing is outside of this physical realm. But until I gain that awareness, I am normally just a observer watching the Dream. As an observer I may have recall of the Dream, but it will be much less than a Lucid Dream would be, simply because I wasn't totally consciously aware in it. Case in point, this morning I wake up, I have a very faint recall of my last Dream scenario. At no time in the experience did I know I was Dreaming, so lack of awareness, lack of recall. I think that Tesla did think exactly this way. He made a point in the video posted in the other thread about the benefits of refining his inventions in mind space without actually building physical prototypes. Once again I disagree. Tesla was very intelligent. But I have a strong feeling he knew when to and when not to ask questions. He learned to Astral Project and because of it, he knew that, like all good explorers, you must observe first, before you question everything. Thomas what hinders your progress is whenever something occurs, you have to question it. You have never allowed yourself to release completely. You mentally jump to everything, like a kid in a Candy store. I know that's true because I have read all your posts from the beginning to now and I see signs of that everywhere. Excitability. But for some reason, you "need" to understand the whys of every step of the way. You haven't yet allowed yourself to release. So, you can get all the signposts, but at that final step, you have stepped in and once again blocked yourself. The hardest part of Astral projection is learning to completely allow the natural shift to take place. We are the ones that make it harder, by fighting it, blocking it, even though we don't believe that that is the case. The Astral Pulse used to be a Forum where we delved deep into Astral Projection and OBEs. Contenteo, Bedeekin, Szaxx, Astral Zombie, EscapeVelcocity, Major Tom, CFTraveler, Soarin, Lightbeam, even Xanth. There were other greats here too that were always active, but they left when they found we this site was changing. 2010-2015 were really informative and interactive years here. All of us used to create great posts guiding people to their first OBEs. Great stickies were made and almost all the conversations were either due to what we experienced before, during and or after a successful "outing". Look at the years most of the OBE/Astral Projection stickies were made here. Robert Monroe created a Hemi sync program dedicated just to teaching people how to have a actual OBE, in every sense of the word. I'm sure Nikola Telsa would have fully understood the "frequency" comparisons. Tesla was well known for his understanding and manipulation of frequencies. I guess Robert could have just taught people to wake up in their Dreams. How many people do you think would come here to here to a Forum named the Astral Pulse to hear that? Until you have experienced a full blown OBE with all the trimmings, you will never know. I don't mean the spontaneous shocking 10 seconds out of your body either, which is many people's first "sneak peek" of another realm itself. I mean a full blown OBE whereas you are completely conscious all the way through it and now it's time to learn to navigate your surroundings. That is way more mind blowing then becoming aware you are Dreaming. I am not saying that LDs does not lead to a non physical reality experience. I am saying that the growth and experience learned during a actual OBE or conscious AP is part of why it's so unique. You must lie/sit there totally consciously aware of not only all the signposts, but the true test, which is "can you completely let go?". Can you finally experience it consciously aware the whole way there? I chat with Authors of books and AP videos often and they won't get near the Astral Pulse, neither will they link it on their websites. They question why I still come here. I tell them because I am helping people to experience the most unique experience a Human being can have. Something that shakes their foundation and creates inner growth on such high level. I tell them it's a great Forum to teach. There are some great people here, some hiding in the shadows as well, that really do want to learn to do this. Astral Travel goes against everything you have learned as a Human being all your life and that is where the difficulty comes in. Many people click out because it is too much for them. They get to the final step before a successful AP is about to occur, then the mental block shows up and the session is halted there and then. This is your real test. How bad do you want it? Are you going to jump that hurdle or is that always going to be your "stumbling block"? Only you can answer that. Most people are so attached to their bodies, mentally, that they can't release "control". They find ways to ways/barriers to hinder their progress. Many times they are sub-conscious barriers, which are the worst kind. But you can learn to overcome them. My techniques are all based around "disassociation". If people practice them regularly, they find it much easier to "relinquish" the control. You must fully trust. For the first couple of times, you need to have a mindset that if this is the end, then so be it. That takes a lot of trust to do. But once again, it can be done. Lastly, using the Alien analogy. An Alien may know already that they are more than there physical selves/bodies. If Humanity was brought up and taught differently, we would be able to AP at will too. Our problem is our conditioning. That means every attempt is showing you more. Not all people do get the vibrations. MY first totally conscious OBE occurred after I did some "Candle staring", using a video and the info I found on youtube. The sensations were impossible to ignore. The vibrations felt like a violent earthquake and the sound was as deafening as a "Helicopter" landing on my roof. I stayed with it though. I also, couldn't wait to do that again and yes, the next time it was much calmer. That's a pretty extreme amount of time. But I have been known to stay aware all night long during the regular Dreaming cycle. I wanted to experience Tibetan Dream Yoga. The Tibetan's didn't instruct you how to turn it off, lol. Be careful what you wish for, lol. When I was new to this practice, it took 45 mins to an hour and 15 minutes for me to find the peak entry and be fully "in the zone". Now it takes about 5-10 minutes. Yes, there are many "perks" that accompany this practice. Been there. I had the problem that just as I was about to "exit", I would feel my eyes were opening and I couldn't tell whether the visuals I had were coming through "squinting" eyes or not. That kind of doubt destroys the session then and there. I fixed it by wearing a blindfold. By making sure my eyes were covered, I knew for sure that what I was seeing was not my physical surroundings, no matter how my eyes might have felt. That is also known as a "self initiated" block. I had to overcome it. Now I use a "Sleep Mask". This one here is excellent and only $20.00. But it is of good quality. I used to use the "Mindfold". It lasted a couple of years. But wasn't nearly as comfortable as the Escape Mask was. Here's another thread where we discussed the "eyes opening" problem. It has actually been discussed here on the Astral Pulse quite a bit. Just remember, if you are experiencing it, chances are others or at least someone else, especially on this Forum has as well. My only problem with binaural beats was when the program finished and the sound totally went away, it sometimes snapped me out of focus again. It took awhile until that wasn't a issue anymore, just like anything else in this practice does. You learn on your feet. I still like Binaural Beats/Isochronic Tones as more of a pleasing background while I await the shift or if I just feel like relaxing and quieting the mind. Jurgen's beats are great. I have always been a fan of his "The Far Countries" track. That works too. Another good one is concentrating on your breathing and using inhale for expansion, exhale retraction. Breathe in real slow, while doing that feel your body expanding. On the exhale, feel your body retracting back in. Every time you do a new cycle, feel the expansion getting bigger and bigger and likewise on the exhale, the retraction. Pretty soon you will feel as big as your room, then your house. Keep doing that and soon you might just find that you are "out" of your body. The darkness before your eyes will take shape and many times the shape is that of your immediate physical surroundings. It can. It is your "etheric body" that you are feeling. My techniques in my "Doorway thread" teach disassociation. They get you used to the feeling of your "etheric body" and also teach you how to navigate your surroundings. Robert Bruce's "NEW" works good for this too. It helps you to feel those etheric body sensations. The "NEW" program teaches you how to manipulate that energy as well. Just a thought will be followed my the tactile sensation of motion. I find motion based techniques to be a great focus target as you are waiting for the shift to occur. All of the AP/OBE techniques you find are there to consume your mind until the "real show" begins. They are all designed to stop you from focusing here and your turning your entire focus to "there". For years I have read and heard meditation CDs and Gurus stressing the fact that you must empty your mind. That's not necessarily true. You must change your focus. I have many times that I will be doing some kind of motion based practice and the whole scene begins to alter to something completely new, not of my own "conscious" design. Thanks for the links. I have read the thread on the eye problem, and have purchased a mask. I used to use a towel so hopefully the mask is better. My meditation is only 30 minutes, right after work. This is 2-3 hours prior to my attempts. It's suprisingly where I get the furthest, as I suspect it's when I'm not trying. I have incorporated your door visualization technique. While I haven't visualized a door as I would have expected I have gotten snapshot images of dark holes and doorframes which lead me to all sorts of abstract motion images. My dream recall is getting much better. I can remember a dream from the night before, and I can't remember ever doing so for the past 10 years or so. It's happened every night this week. I'll search for the threads from the times you referenced as being highly valuable. Your welcome! Many people experience the same problem. I sleep with my mask on every night. I love that total darkness, especially because I stay up so late each night. My normal sleep time is about 3-4 am. So wake up is about 10-11 am and we have no curtains on any windows in our home at all. We live way out in the country and our next neighbor is about a 1/4 miles away. That doesn't surprise me at all. Sometimes you just set the "atmosphere" and the natural shift occurs unabated. Other times we can tend to put too much pressure and try to force the "exit". It feels like you are leaving your body, but in reality you are going deeper into yourself. There are many "doorways" that can be explored there. The Doorway technique is a time consuming technique to focus on while the natural shift occurs. While doing it, sometimes you just find yourself "there". It's better than just lying/sitting there"noticing" the darkness before your eyes. It staves off "boredom", which seems to be the problem many have with the AP practice as well. What do I do while I await a shift? Well you can either just sit there staring at the darkness or you can have some fun with your imagination. As long it takes you away from your "physical reality focus", it will work. I really enjoy the motion based practices though. They can get rather intense, especially the focus on moving backwards. That's a hard one to stay with for a extended period of time. But it creates a extraordinary and extremely intense sensation of depth. The 6 pt focus is great for getting to know your "etheric body". It is very simple to do "daily" as well. Progress is always a good thing! All the stickies here are quite useful. They worked for the person writing them. They are guidelines/blueprints, but you can also hone them to your own personal liking, something that you find more comfortable. By experimenting, you will come across a perfect fit. Who knows you better than you? There are some major differences in the way we experience these dreams I think. Due to semantics it is difficult to grasp observer, I think I know what you are describing. Sometimes it is like watching yourself in a play, or maybe just being point consciousness as some scenario unfolds. I have had many experiences where I know I am sleeping and many where I don't know, but they are still first person experiences where I am in control making all of the choices. The recall is equal, the lucidity is equal I feel. I have chosen to leave behind knowing that I am dreaming because that intent was about roller coaster rides, I find the experience more valuable when I don't have that in the forefront of my awareness. It is still there on some level but it is not prominent or important. I guess for now I have come to enjoy experiencing my "true" self more than the desire to seize control and awareness with intellect. I reflect on and experience this as a step up, not a step down. You mentioned a lot of issues below so I will try to redact the important bits. ...whenever something occurs, you have to question it. You have never allowed yourself to release completely. ...you "need" to understand the whys of every step of the way. ...you have stepped in and once again blocked yourself. The truth is that I stopped pursuing conscious projection by the means of sit down sessions a long time ago. My understanding has been coalescing into something else. Like you pointed out, I was blocking myself and attempting to brute force past this problem was unproductive. I feel that I do need to understand the core reasons for these blocks and undo them to succeed. I have never given up on pursuing these reasons. What is wrong with understanding the whys in the process of projection? I want to be able to teach others to achieve this state easily. If I achieved it, but cant help anyone I would consider it a failure. If it takes me years to understand everything and at the end I can help others I am alright with that. more mind blowing then becoming aware you are Dreaming. Can you finally experience it consciously aware the whole way there? I currently cant allow it easily or reliably. I have no illusions or denial over that fact. One thing that strikes me though...I have consciously experienced it the whole way there, indeed for more than a fleeting 10 second exit. It wasn't more mind blowing than dreaming. The experience was almost exactly the same as my lucid dreams at the time. When I look back on that experience now the level it was at was definitely less meaningful than the lucid dreams I have today - perhaps that is part of the reason I am in no rush to consciously project anymore. What am I missing here? I agree fully, that is why I focus most of my efforts now on directly understanding the conditioning and how to remove it. I have started to feel that this perhaps should be step one of the process. Practicing relinquishing control hasn't worked that well for me, I am a very cognitive person and the answer is likely to be cognitive such as a rationalized fear of death. My prediction is that I will understand it, feel it at a core being level and then I won't have a problem anymore. I understand this process is probably frustrating for you to watch and I rebel against the well tread path. Its in my nature to find my own way. There is nothing wrong with understanding the why's AFTER the fact. There is plenty of times to be taught what you need to. For now, be a good observer. Open yourself first to "getting the lay of the land" before you delve into all the "whys". That must be the difference between us. I have never had a LD that compared anything to waking up in full Sleep Paralysis, then being grabbed by my ankles up to the ceiling and spun through my ceiling like a some kind of spinning top. To be completely consciously aware during that entire process was so mind blowing, no LD I have ever had even begins to compare with that and I have had some very unique LDS. Like for instance the test I found myself in years ago whereas I found myself looking at a highway from atop a overpass. There was someone to my side. I think it was a guide of some form. I then witnessed a horrific accident that involved almost every vehicle on the highway in some shape or form. MY lesson to go back and change things that happened beforehand to change the outcome of the scene. This scene was "re scripted" many times, not of my own conscious design. I never did find out why it was important to learn this. But I'm sure that "purpose" plays out somehow in my Dreams "Otherworld" experiences. I think it was indirectly the start of my "Retrievals"
Like I said above, who knows you better than you! The only part that frustrates me is knowing this is completely possible and that "most" people can achieve this if they really wanted to on all levels and then hearing someone advise using LDs first or instead. Most people come here to the Astral pulse to read and understand more about OBEs and Astral Travel itself from more of the "traditional" ways of achieving it. It confuses them to hear otherwise. ...and once again, I realize they both lead to "NPR" experiences, although I find they are completely different "scenarios", lets say. It's the eye opening experience that makes a full blown AP/OBE so unique. This is going to be short but just wanted to document an exciting experience. I started by closing my eyes and focusing on my breathing. I'm going deeper and deeper, slightly noticing and fixing slight tensing. I'm sitting in a hotel armchair this time instead of my standard go-to...a bed. I feel the "void" again, after progressive relaxation however this time I can smell...only it's "nothing". I acknowledge this and try to relax deeper. After awhile longer I notice I can't feel my energy vibrating in my arms and feet anymore and proceed to focus solely on relaxing more. A few moments later and I feel what I can only describe as a click. My vision goes from the standard blackness to a starburst purple and green shape progressing sequencially towards me. At the same time I get an immense feeling of forwards movement. The star pattern is coming faster and faster and I opened my eyes after this. It was the craziest thing I've ever seen in my life. Even after this I can feel vibrations swirling around my temples and between my forehead. Another quick "sneak peek" of what lies beyond. Congratulations and here's to many more! It is understandable that emotion and excitement overtake you the first few times you get to this point. Next time work to remain calm and let the experience unfold as it will; roll with the shifts. Trust that you are NP and safe. The experience will take you deeper and further. Absolutely fun! Doing more reflecting on the situation I can really get a sense of what works for me personally. I start with focusing on progressive relaxation, finishing on my eyes. At that point I focus on my hearing waiting for the light feeling in my arms. Then I simply let my body and attention drift. At some point it's literally feel like I forget I have eyes, ears ect and there is a very distinctly click or pop. I haven't really been able to put my finger on it but it's very noticeable. The less I try the further it get it seems. Last night I went to bed with no intention of an experience. Had a very vivid dream but wasn't lucid. Woke up without moving much with vibrations all over my body. Closed my eyes and instantaneously saw a landscape like train tracks, in vivid light greens and yellows. I was moving down the tracks and completely conscious, had absolutely no body sensations. I then decided I wanted color vision and had a beautiful landscape of purple and reds which were very vivid fill my vision. It was very surreal. Im not quite sure what to make of it.